The whole thing is hilarious, is it not my friends. We are trying to gain Self-Realization with the effort and power of our mind. Yet, it is the ego/mind that is veiling the Self! What a wonderful paradox indeed. Are you able to see it clearly? The attempt to abandon the ego or overcome it, is itself based on egotism. Such forced efforts to discard the mind and transcend the ego end up only reinforcing the nonexistent phantom in our imagination. What Bhagavan has pointed out is that all spiritual practices ultimately fall short as they presuppose the existence of mind. And with the mind in charge, there are infinite possibilities of experience; all kinds of experiences, including super conscious experiences. No doubt experiences can be wonderful and joyful as well as painful. And yet where can any experience truly take us? Where can any experience take us other than in our own imagination of what it means to be happy in heaven, nirvana, moksha, singing with angels, or dancing with the gods, etc. 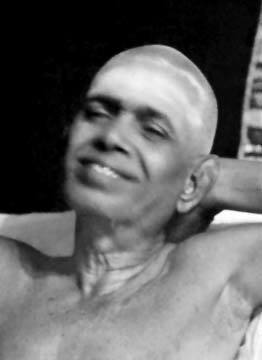 Bhagavan Ramana used to say that the True Seeing is only Being. Wonderful explained, simply wonderful. Thanks so much. Thought is the observer and is not the instrument to do self-inquiry.There is no role of thought in psyche. If thought goes on observing things will not be transformed because thought is old.Insight is the right instrument to do self-inquiry. For insight to happen thought with its contents must be emptied from the mind.Empty mind has insight, it is its nature just as it is the nature of physical eyes to observe objective reality.Insight observes the subjective reality without distorting it just as a mirror never distorts the image reflected in it. 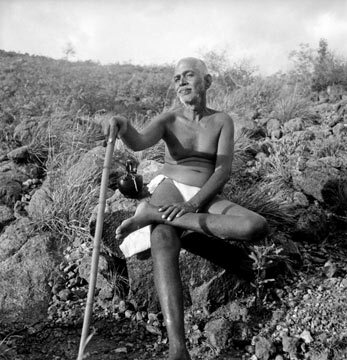 loved the quote you have posted along the picture of Ramana Maharishi, that Self realization is the greatest service which one can rendere for the good of this world. You say true seeing is only being. could not make out ,what exactly you imply.please innumerate a little more-have you taken this from teachings of Maharishi. The seer, seeing and true insight of the observation is the experience of ‘no-boundary’ / unity consciousness of being…thinking is judgement, or outcome of a mental event that we inadvertently use to create boundaries – nature of paradox! “This must be understood.” Indeed. Ha. Understood and let go of just like everything else. Happy little waves bobbing on the ocean trying to remember when we understood nothing and there was nothing to overcome. Very funny and sad, tragic, lovely and magical.